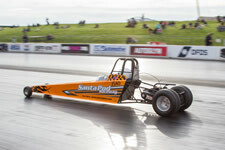 Santa Pod Raceway’s Junior Dragster Hire Programme is currently undergoing refurbishment. The hires will resume in 2019 with dates announced towards the end of the year. The perfect present for any budding young driver aged 8 – 16 years old, hire one of Santa Pod’s junior dragsters and drag race on the famous dragstrip. Hire price includes full tuition with experienced instructors, admission for the driver and two adults plus guest children, all attire, equipment and fuel costs together with a certificate for the day and performance print outs for each run down the track. 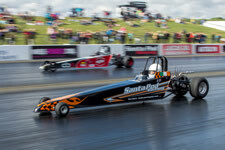 Our experienced Santa Pod instructors at RWYB dates will offer full briefing and tuition to the driver throughout the day with the driver getting a minimum of 3 runs down the strip up to a maximum of 10 per day (weather & track conditions permitting). Drivers must competently perform a series of safety practices before going on the track. 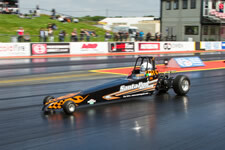 The hire of the Santa Pod stock dragster will be £150 including VAT. This will include fuel costs and mechanical/technical help will be available on standby. An event entry form and event entry payment will then need to be made via the Santa Pod Racers Club via www.eurodragster.com/sprc/entry.html. Junior Drivers will be required to sign a disclaimer form prior to going on the track. May not be suitable for those who suffer from epilepsy or any mental or physical disability.Any medical conditions must be declared at the time of booking. Junior Drivers must be a minimum of 8 years old and bring proof of ID along with them on the day. Failure to produce ID will result in not being able to go on the track. 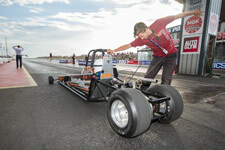 Junior Drivers must be able to get in and out of the junior dragster unaided. A parental consent letter must be signed before the hire can take place. Dates are no longer available for 2018 due to a refurbishment programme. The hires will resume in 2019 with dates announced towards the end of the year.